The Flexi-Hopper Olive is a variant of the Bristol Hopper. It is robustly made and offers great versatility as it represents nymph emergers and terrestrials and can be fished whichever way you prefer. Rib : Narrow gold tinsel. Legs : Olive mini rubber legs, knotted. 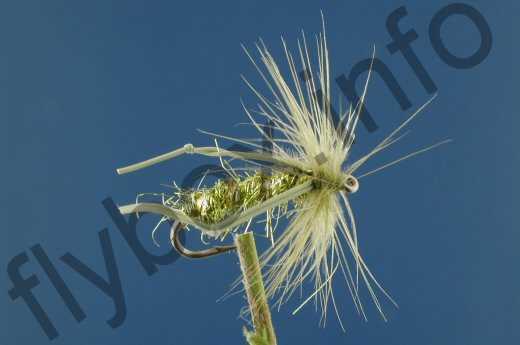 Currently there are no comments about the Flexi-Hopper Olive fly pattern from other fly fishermen yet.